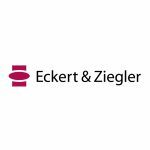 Eckert & Ziegler Radiopharma GmbH, a subsidiary of Eckert & Ziegler AG (ISIN DE 0005659700), signed an agreement today on the sale of its entire cyclotron division to Alliance Medical Ltd. Eckert & Ziegler will receive a payment in cash in the amount of € 13,0 million in return. The corporate division being sold generated sales of around € 18 million in 2016, accounting for approximately 13 % of consolidated sales and only a small profit contribution. The sale will be effective as of today. “As part of the realignment of the Radiopharma segment, the Executive Board has decided to focus on globally scalable products and services”, explained Dr. André Heß, Member of the Executive Board of Eckert & Ziegler AG and Head of the Radiopharma segment. “Our cyclotron based products, which are sold in Germany and some neighboring regions only, do not fit into this category. Due to their short half life cyclotron based products can only be sold within driving distance from the production facilities. Growth potential is therefore limited. Building new cyclotrons in other parts of the world only offers low returns on investment, since competitors already have strong positions in nearly all foreign markets. Well established players such as Alliance Medical, by contrast, who run cyclotron chains in different countries, can realize synergy effects to their core business through this acquisition”. With around 670 employees, Eckert & Ziegler Strahlen- und Medizintechnik AG (ISIN DE0005659700) is one of the world’s largest providers of isotope components for radiation therapy and nuclear medicine. Alliance Medical is Europe’s leading diagnostic and molecular imaging services provider delivering high quality diagnostic solutions in partnership with public and private organisations.